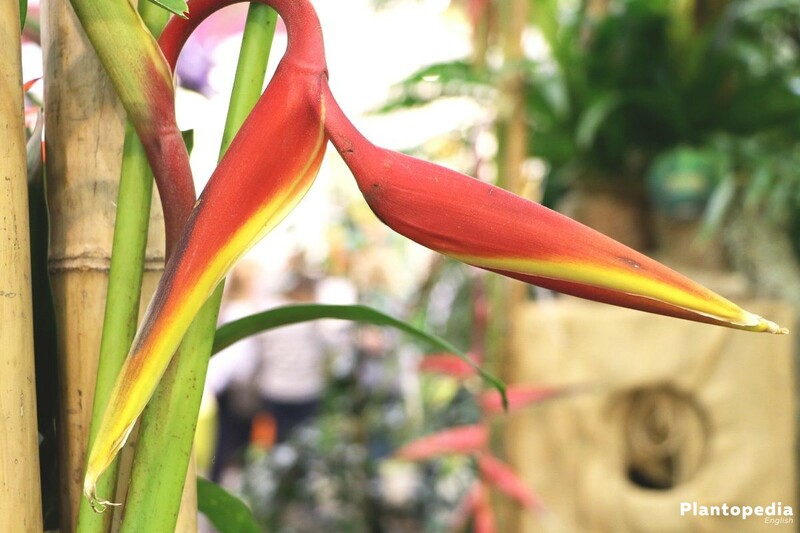 With its magnificent flowers and large green leaves the bird of paradise creates a tropical flair. Like an exotic fan, the orange-yellow and blue shining petals are stretching towards the sky. It doesn’t seem so, but the Strelitzia reginae is quite unpretentious. Good care ensures intensive growth and great blossom splendor. These are the care instructions showing you how to do it. 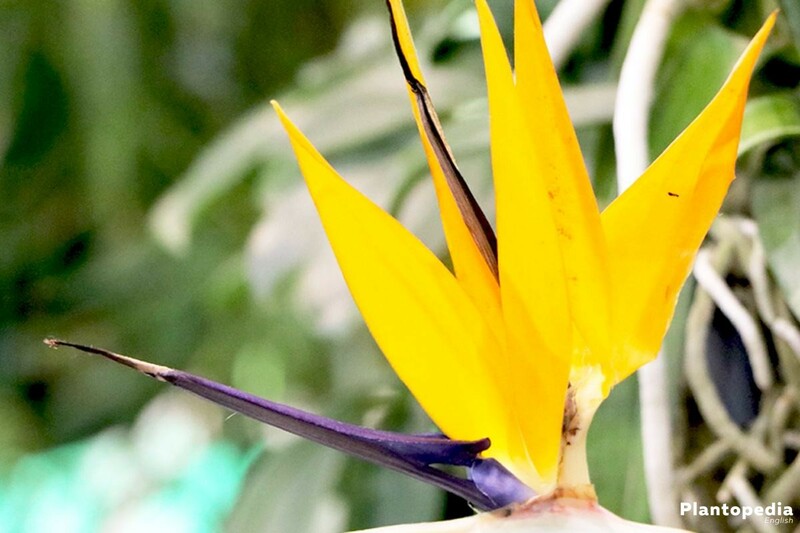 Especially the blossoms of the bird of paradise are attracting the eye: their intense colours are shining between the large, robust and evergreen leaves. The Strelitzia reginae is also a popular cutflower because of its bright colourful blossoms which last for at least four weeks. 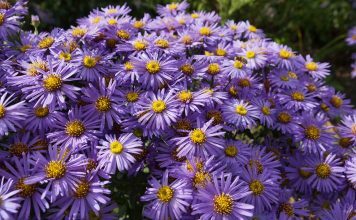 However, if you want to enjoy this flower for years, you should grow it in a pot or bucket. 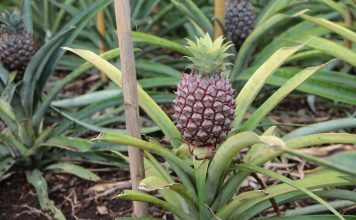 With optimal care, it can grow up to the height of two meters in the bucket. In these care instructions, plant lovers can learn all important details about the bird of paradise. In it’s homeland in South Africa, the bird of paradise is widespread. On the Canary Islands, it is often found in nature too. In the 18th century the Strelitzia reginae came to Europe for the first time as an ornamental plant and finally reached Germany at the beginning of the 19th century. Since then, the exotic plant has been cultivated here. The Strelitzia reginae was named after the German Princess Charlotte von Mecklenburg-Strelitz. The wife of the English King George III, who lived from 1744 to 1818, was the Queen of Great Britain and Ireland. In 1773 the Strelitzia reginae was discovered by a British man and named after the queen. The Strelitzia reginae is relatively unpretentious and can also be easily grown in the Central European climate. It rewards a minimum of care with lush blossom splendure. 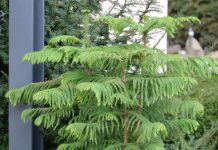 If you take care of some basic nurturing principles, this exotic, not winter-hardy plant will thrive magnificently. 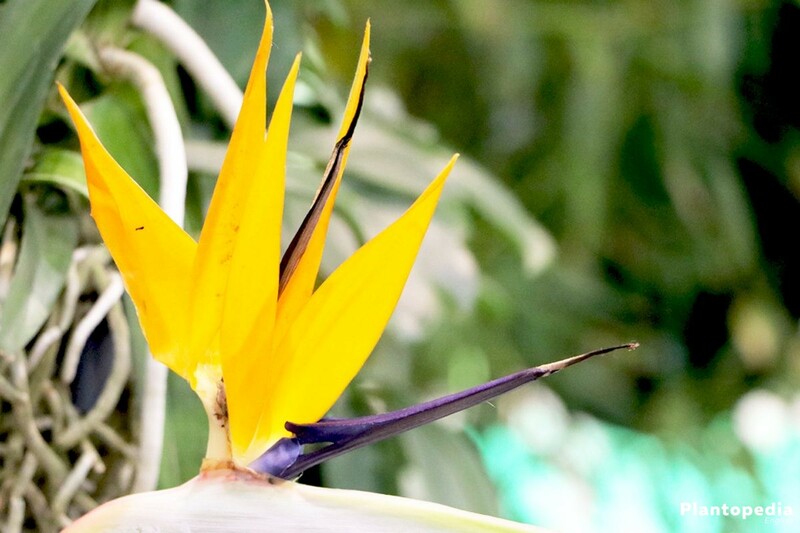 The bird of paradise loves the sun. From May to September it should therefore be outside in the garden, on the terrace or on the balcony. A warm, sunny and airy spot would be perfect. Since too much wind may damage the leaves, a protected location is recommended. The Strelitzia reginae also grows well in the semi-shade, but such a location inhibits flower growth. A too dark place can even lead to the complete absence of blossoms. 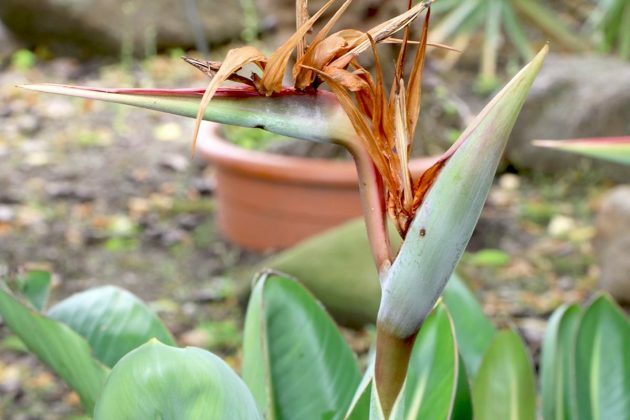 Anyone who does not want to or can not put the bird of paradise in the open has to create appropriate conditions in the summer. Since the Strelitzia reginae does not tolerate waterlogging and its roots tend to rot under such conditions, it should be in a pot or bucket, from which excess water can easily drain off. 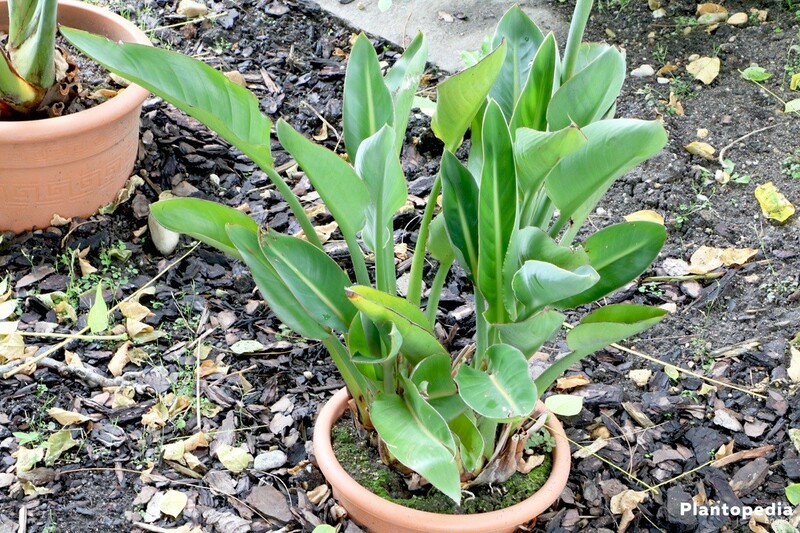 Potting soil or regular flower soil are very suitable for the Strelitzia reginae. What is important is that it is a nutrient-rich, receptive substrate, which is at the same time loose and moist, as well as air and water permeable. A somewhat loamy consistency is also recommended. 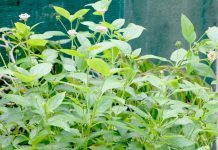 In the early phase of cultivation, however, this ornamental plant benefits from a nutrient-poor substrate such as peat or cultivation soil. 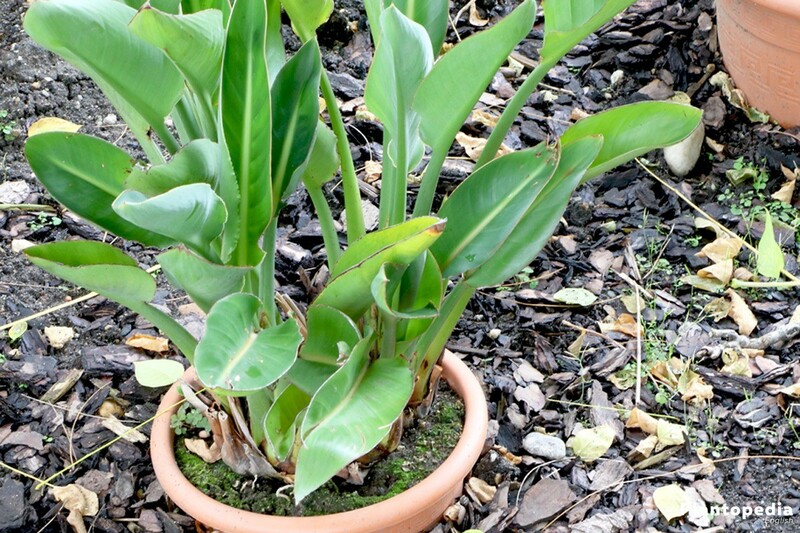 Strelitzia reginae is repotted when the pot becomes too small. This can be seen, for example, in the fact that the roots grow out at the bottom or the plant begins to shrivel. 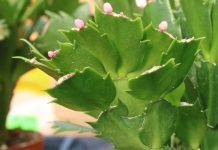 The best time for repotting is before or after the flowering phase. The bird of paradise has sensible roots, which must not be damaged. Therefore, you should be very careful and, if possible, repot the plant not more often than every three years. At regular intervals, the uppermost layer of soil can be removed and replaced with a fresh substrate. When repotting, a pot or bucket should be chosen, which is not much larger than the one used before. 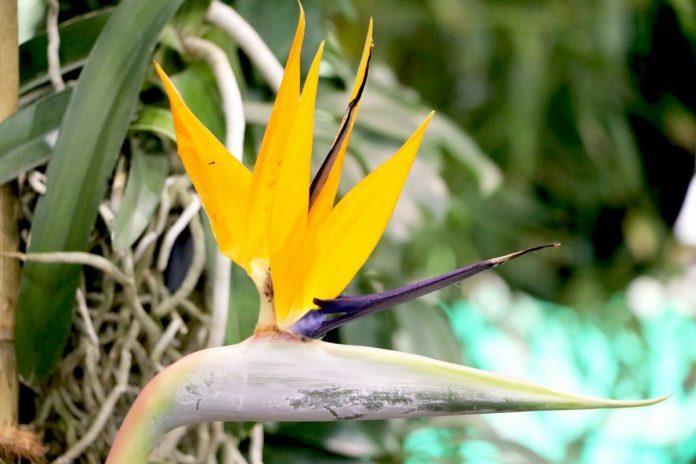 Since its leaves are emitting much humidity, the bird of paradise needs a lot of water, especially in spring and summer. 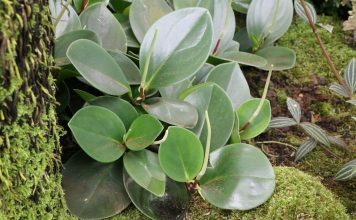 The more leaves the plant has and the larger it is, the higher its requirement for fluids. It should therefore be poured generously on a regular basis – once a day is usually enough. In winter the Strelitzia reginae needs a rather cool spot, therefore it needs much less watering. The substrate does not have to be kept permanently moist, but should never be completely dried out. 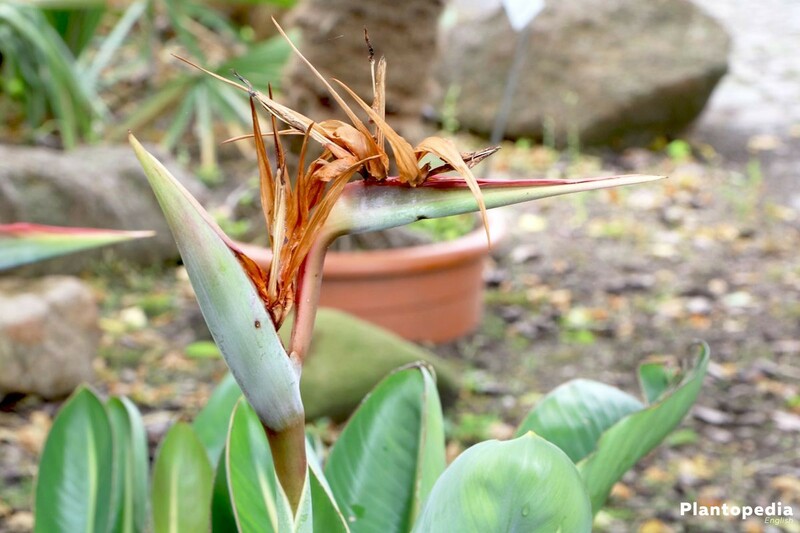 In spring and summer the Strelitzia reginae should be fertilized once a week. For this purpose some liquid fertilizer can be mixed into the pouring water. Fertilizer spikes are also suitable. A small amount of fertilizer is enough. If the leaves grow faster than the flowers develop, this is a sign that too much fertilizer is used. Seedlings should not be fertilized because the seeds already have all the important nutrients. 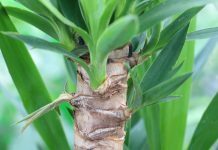 Not earlier than two months after the first shoots of a new plant are visible, it should be supplied with a very small quantity of fertilizer once a week, regardless of the season. A little caring effort can already have a great effect. 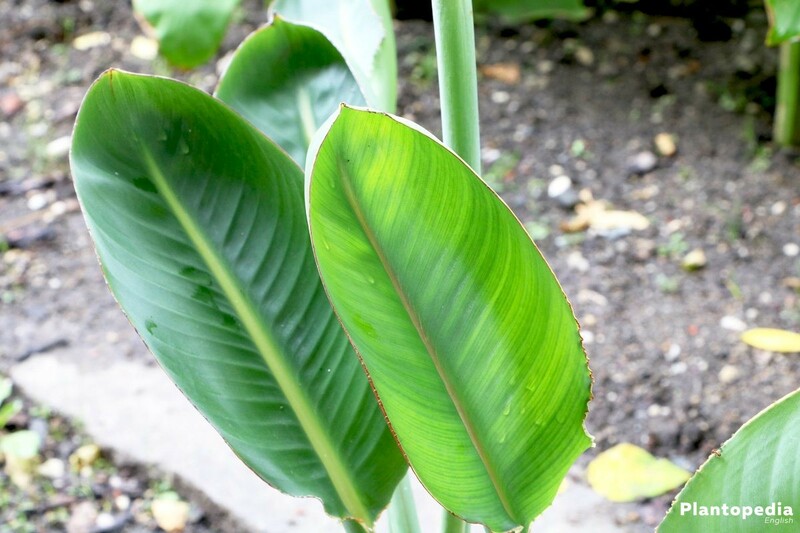 Therefore, in old plants, for example, old leaves should be removed from time to time in order to stimulate growth. 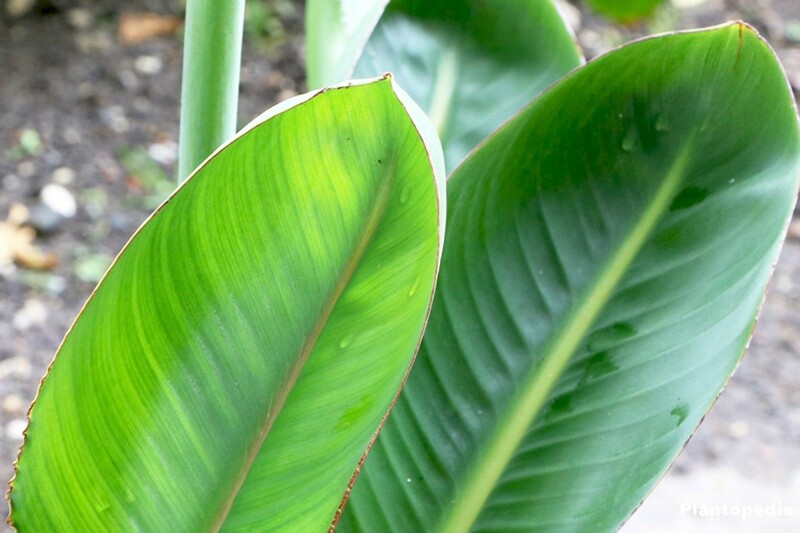 Since much water evaporates through the large-area leaves of the Strelitzia, this measure also prevents it from unnecessarily losing a lot of water. Dry leaves and flowers should also be removed quickly. 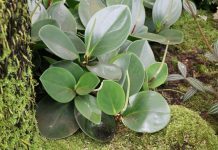 You should, however, avoid a cutting of the plant. 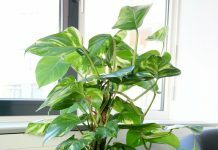 If the plant is too large, it should instead be separated into several plants. 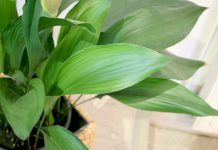 While the Strelitzia reginae likes to spend the summer outdoors, in the winter it should definitely be brought into the apartment or into another protected interior like a stairwell. As soon as the temperatures fall below 10°C, the plant should be moved to its winter location. There it should stay at least from October to April. The plant does not tolerate temperatures below 10°C or even frost. If it is exposed to it, growth and flowering can be inhibited. 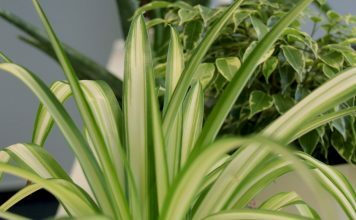 When it is wintering in a cool, bright room, the Strelitzia reginae will in most cases already begin to bloom at the end of the winter rather than spring. Also a limited supply of water will lead to early formed blossoms. Two types of multiplication are recommended for the Strelitzia reginae. A bird of paradise can be most easily multiplied by division. 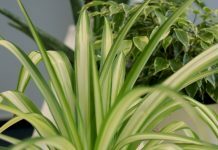 When repotting, a large plant can be easily divided. 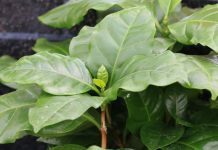 The separated shoot should have at least three leaves – the larger the new plant, the faster it will form flowers. A cautious approach is important in order to keep the damage for the sensitive roots as little as possible. If a root breaks off, charcoal powder should be given to the wound before potting. Bent roots should be carefully cut off and also treated with the powder. The Strelitzia reginae produces pea-sized capsule fruits, which are woody and triangular. The seeds can be bought or taken from a mature bird of paradise. Since the germination ability will rapidly decrease with increasing age, the seeds should be germinated as soon as possible. A protective layer of wax envelops the seeds. In order to shorten the germination period, the seeds can either be washed thoroughly with soapy water or carefully roughened with sandpaper. They are then placed in a container of warm water for twelve hours to two days to make them swell. 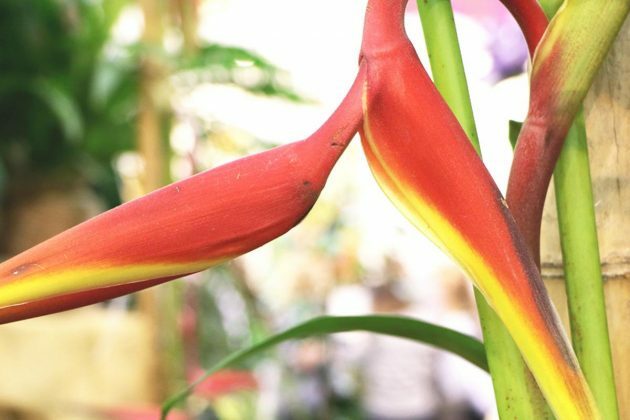 The Strelitzia reginae also benefits from a warm location with a temperature of around 25°C. Temperature and humidity should be kept as constant as possible during cultivation. As soon as a shoot pushes through the earth, the cover must be permanently removed. The plant needs a lot of light now. Before the first shoot can be seen, a dark or shaded place is sufficient as long as it’s warm enough. 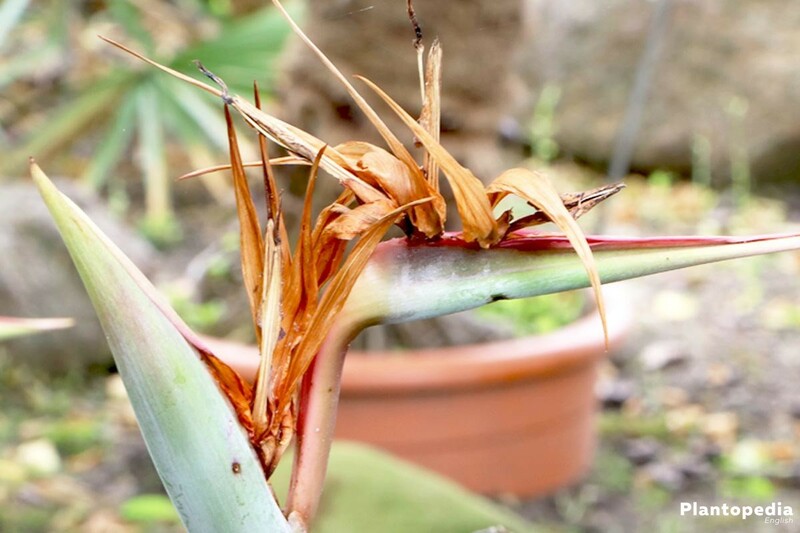 A too warm wintering place weakens the Strelitzia reginae and makes it susceptible to pests. 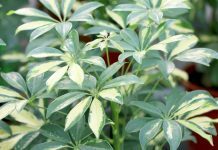 An all to abrupt change in temperature can also harm the plant, for example a too fast transition from the cool winter location to the warm outdoor spot. 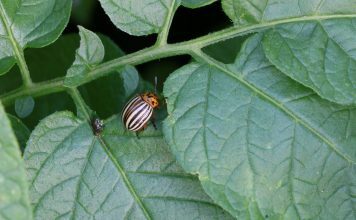 The following pests will most frequently occur as a consequence. Scale insects are mainly found on the bottom of the leaves. They are noticeable by honeydew and sticky leaf surfaces. Also round shields, which are light green to dark brown, are formed on the plant. These must be thoroughly, but also carefully removed with a brush. 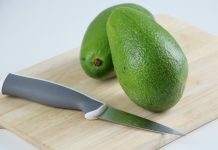 The honeydew can be wiped away with a damp cloth. In case of an advanced attack, the plant should also be sprayed and / or coated with oil. That will make the aphids suffocate. In order to prevent infestation, you should take care for a suitable location as well as adequate humidity. The latter is already achieved by regular airing. The botrytis cinerea is a harmful fungus, which is also known as grey mould. 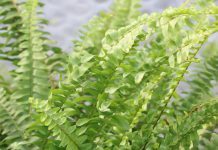 The name derives from the symptoms: The infested flowers and leaves will at first develop dark spots and are later covered by a furry gray layer of mould. Infected parts of the plant must not come into contact with healthy parts. They must be removed as quickly as possible to prevent the spread of the fungus. Regular airing will also prevent the infestation with this pest. The genus Strelitzia contains five different plant species. Only the Strelitzia reginae is cultivated as a room and basket plant.